A pair of Stanton CMP.800s gives an awful lot of DJing flexibility for less than half the price of one Pioneer CDJ-2000. Launched a little earlier this year, Stanton’s CMP.800 multiformat CD/USB/Midi controllers appear to offer everything to all DJs (except vinyl playback, of course). A pair of these little units can allow you to DJ with CDs (containing either audio or MP3s), from a USB stick, or using your favourite DJ software, via Midi. While for most DJs around here, we would not normally recommend anything other than a shiny modern DJ controller, there are still cases where a set-up like this would make sense. We’ll look a bit more closely at why you may want to go down this route in the conclusion, but for now, let’s take a closer look at them. The initial slightly cheap, all-plastic impression quickly fades when you put the units down on a flat surface and plug them in. A Pioneer-esque red ring glows around the truly lovely jogwheels, and lots of lights accompany the clear LED display to give the impression of you getting a lot for your money. 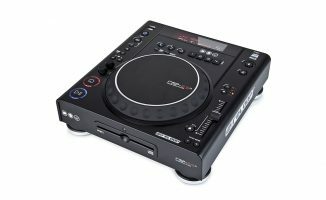 Laid out in a logical CD deck style, there’s a long-throw pitch control, good large round rubber play/pause and cue buttons, four hot cues, big loop buttons, various effects, and lots of stuff that high-end CDJ users and digital DJs alike will be impressed by – beat-tied looping, samples, instant reverse, keylock, start and brake speed adjusters, and comprehensive track search including folder navigation and adjustable start/stop times to name a few. 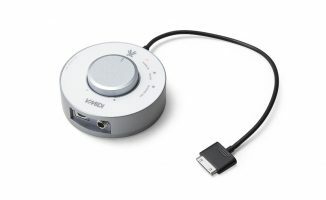 Round the back are RCA outs for the music out, a 1/4″ headphones socket with volume control for mixer-free use, a digital out and a remote start jack, and both a USB-in and a USB-out (you can connect two units together so that you only need use one USB stick). The front has a glowing blue light, which illuminates the CD slot. Overall the units feel compact yet chunky, reaching a pleasing height but held firmly by big rubber feet, with no wobble. With all of those buttons and lights, they certainly look like they also do a fair bit; which, as it turns out, they do. Of course, these are old school CD players, so you need a mixer too – we hooked the test units up to the excellent little DJ-Tech X10, our go-to test mixer in the office of late. We threw a pile of tunes onto a USB, tethered the units together so they could both read from the one USB, and loaded a track. The library knobs let you search by any field, and you can navigate folders too, but it’s all clunky compared to using a laptop screen to navigate. However, it’s par for the course with this type of DJing – and one of the reason we heavily prefer digital. Loading tracks is fast, and a little bucket / “battery bar” fills up to show you that the anti-skip is “fully charged”. The BPM is displayed, and you’re off, although you can play instantly before any of this has happened. The first thing you notice on playing a track is how awesome the jogwheels are. They’re better than any digital DJ controller except the Numark NS7 or V7, which are motorised so have an unfair advantage. The jogs are large to start with, rock solid, have a deep, rubber edge for nudging, and a sensitive metal top for scratching. They control CD and USB media perfectly (although the way you map them and the software you choose will determine how well they work with digital DJing). What’s more, the LED ring (which has eight functions, by the way) makes them visually intuitive too. Jogwheels are one of the reasons many CD DJs don’t get on with modern Midi controllers, and for the price, these jogs are brilliant – much better than those on the Pioneer CDJ-350s, for instance, which are an equivalent CDJ player roughly both in terms of size and price. You can toggle the action to be 100% nudge, nudge/scratch, or “touch rewind”, which is a similar function to that on the Stanton SCS.4DJ. Sensitivity is also adjustable from deep within the menu system. 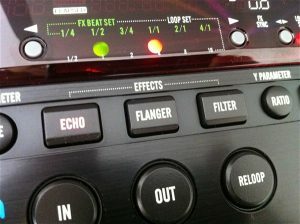 The effects and loops can be tied to beats, like with DJ software. There are four hot cues across the bottom that work exactly like those on Midi players, but also double up as instant sample slots. They’re only five-second samples, but still that’s good for dropping riffs, vocal snippets, hits and sound effects on-the-fly. The onboard effects are a great addition. They can be synced to beats, from 1/4 of a beat to four beats and while there are only three effects, it is the right three: Filter, echo and flanger. They all sound great, and you can take manual control of X and Y parameters too – although knobs would have been better than buttons, especially with the filter. A big fat filter knob would have been excellent. to be fair, though, you can use the cogwheel to control FX if you switch it to that function. Looping is strong, with both manual in/out/reloop (like all CDJs since time eternal), and also bar loops, beatsynced, from 1/4 of a bar to four bars. It relies on accurate BPM analysis of course, but there is also the ability to tap BPMs to correct any anomalies. The BPM engine got it right on the music we tried it with, which admittedly was all house. Speaking of BPMs, tempo matching was easy with those long-throw pitch controls; while the screen only shows BPM to 1/10th of a unit, the control is far more accurate than that – we were impressed. Switching inputs is as simple as pressing a button, allowing you to cycle between USB inputs (two of them – there’s also a USB on the top of the unit, protected by a rubber insert), the CD player, and the Midi interface. There are a plethora of high-end CDJ-style functions here too, accessible through the usual rather long-winded menu system that all such players by design have to have, so you can fine tweak everything to exactly how you want it to work. The manual contains all the Midi information you need to map your Midi software to the units, so if you want to use them to control Traktor, Virtual DJ, MixVibes Cross DJ and so on, you can do so with relative ease. The ten minutes we spent mapping rudimentary functions to Virtual DJ proved it is easy enough, plus we saw it working fine with Traktor at Musikmesse. If you’re expecting to plug and play with DJ software, though, think again – there’s a lead-in time for setting these up how you want. Stanton has informed us that there is are Traktor 2 mappings available on their forums; it might be a good idea to bookmark these somewhere obvious on the product support page for new users looking for them. 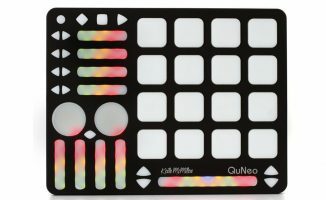 One thing to note is that these are not digital sound interfaces – they are strictly Midi interfaces, so you will need a sound card for your DJ software. These are professional, well-featured, modern multimedia players that have pretty much all the functions a USB or CDJ DJ would want, at a fraction of the cost of the market leader. 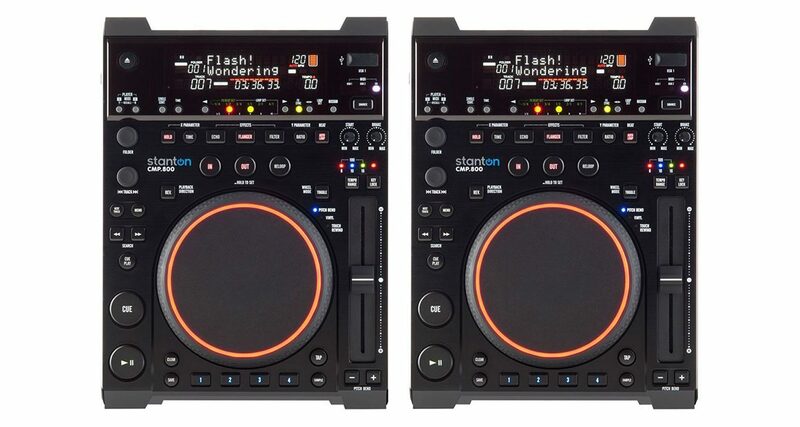 If you are a CDJ or USB DJ wanting a home set-up that lets you do nearly all the stuff the club players do at a reasonable price, you may well be breaking your wallet out right now. A traditional DJ set-up that offers Midi control too, the Stanton CMP.800s will find their niche with hybrid DJs. But there’s also a case that can be made for digital DJs to go for this kind of set-up (plus a small mixer) too. They feel better in use than nearly all Midi units, and more to the point, they feel pretty much exactly like standard club gear. If you ever have the sneaking feeling that you’re not learning what “real” DJs learn as you fuss around with your all-in-one little Midi unit, these will let you put that right. You could practise mixing CDs and working off your USB stick, and then when you wanted to have some real fun, power up your software and do the whole thing digitally too. I can think of two other types of DJs who would be interested in such a set-up: If you already have decks and a mixer but want to add CD and digital, you can do the lot with the purchase of two (or even one) of these. Or if you’re a non-digital DJ looking to replace old CDJs with something more flexible, but you’re not ready to make the leap to digital just yet, you can buy a pair of the Stantons, and then dip your feet into the digital pool as you feel ready, trying out the software, working on mappings and so on. Working DJs with investment in CDs sometimes don’t want to take the leap all at once, and for those people, again the Stantons could be a good choice. Such DJs would end up with a 100% digital DJ set-up that didn’t shut them off from their old way of doing things. So if you’re digital agnostic, and are looking for great value, well-specified modern multimedia players, a pair of these will set you back less than half the price of one Pioneer CDJ-2000. However, for the straight digital DJ, using any set-up like this instead of a Midi controller plus software feels like a step backwards. Cumbersome menus compared to computer, no way to sort easily or browse quickly through all your music (although Stanton does have MediaWallet software available to enable you to organise your music before arrival at your gig), rudimentary effects, lack of portability, no built-in sound cards – we’ve thankfully moved past all of these limitations with our shiny, modern DJ controllers. 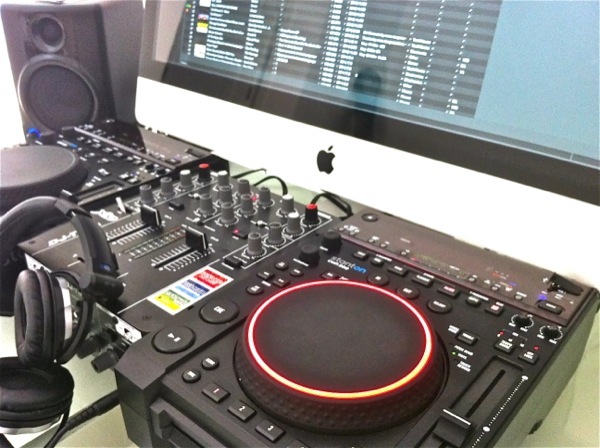 Are you a CDJ DJ who has yet to take the plunge to digital? Are you a digital DJ who thinks it would be good to learn how to DJ on CDJs? Is a “hybrid” set-up your ideal DJ gear? Let us know your thoughts in the comments. It looks the same as Citronic mpcd-x3. Can anyone confirm if the firmware or software is different? It’s also very similar to VOXOA P70 which has a very bad review in youtube. Did Stanton improve the firmware? Can anyone confirm what are the differences? Please. I’ll ask the question for you. Me likey! Definitely an interesting product..
Definitely what mobile jocks are looking for! Girl comes up to ask you to play something from her car CD player that you ain’t got in your collection (of course;-) – there you go… no internal soundcard needed, and the mixer has micro Input. been waiting for a review on this aside from DJBlaze on YouTube 🙂 what’d you say phil–the ndx800, radius 3000 or this? Hey Phil, thnx for your review! One question, how are the Stantons compared to a Pioneer cdj400 witch has basically the same functions, price plus an inbuild soundcard. It doesn’t have a sound card for digital DJing built in, neither do. TBH I’m not well qualified to judge CD players against each other as I never use them. Thanks for the feedback. I was actually looking for a good independant jog wheel controller to work with both traktor pro 2 and Serato SL. There aren’t many out there that could do so much without braking the bank. loved the unit. Quite impressive product for the price and build. I only used the USB side but the software side was very solid. Never had a crash or audio drop out and USB reading speed was str8 plug and play. 1 question though. How can I update the unit’s firmware? Not sure if you guys noticed it but scratching gets funky when song is paused and platter is in Vinyl mode. All of the above are the reasons I got the AA Radius 3000’s. So much redundancy for the one man band that I am that I am ready for any situation with almost no downtime. Nice units but the 3000’s are the real deal! !